Dr. Richard M. Cash is an award winning author and educator who has worked in the field of education for 30 years. 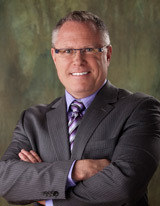 His range of experience includes teaching, curriculum coordination, and program administration. Currently, he is an internationally recognized education consultant. He has worked with schools and educational agencies throughout the United States and internationally. His areas of expertise are educational programming, rigorous and challenging curriculum design, differentiated instruction, 21st century skills, brain-compatible classrooms, gifted & talented education, and self-regulated learning. 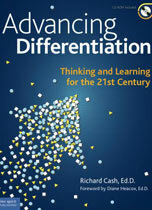 Dr. Cash authored the books Advancing Differentiation: Thinking and Learning for the 21st Century (Revision & Update 2017), winner of The Legacy Book® Award for Outstanding Educators Publication, 2017, Differentiation for Gifted Learners: Going Beyond the Basics (2014) (co-author), winner of The Legacy Book® Award for Outstanding Educators Publication, 2014; and Self-Regulation in the Classroom: Helping Students Learn How to Learn (2016). All books are published by Free Spirit Publishing, Inc.
Richard lives in Minneapolis, Minnesota, USA. Developing differentiated instructional strategies is essential to improving student achievement. This workshop/session will present practical information and functional strategies to assist in developing a responsive classroom for ALL learners. Utilizing individual learning styles can enhance student performance. Practical information regarding learning styles and how teachers can differentiate instruction to meet the needs of diverse learners will be shared in this workshop/session. Understanding how the brain processes information and learns is necessary if teachers want to improve student learning. This session will present an overview of the brain's structure, and a variety of compatible teaching and learning strategies that will engage the learner. This workshop/session presents a comprehensive review of multiple learning models and theories for building higher order thinking skills. Participants will be guided through developing effective lesson plans that incorporate multiple learning styles. This workshop/session will assist teachers and schools in building a greater understanding of creative and critical thinking skills and how to apply them to lesson planning. This workshop/session presents multiple teaching and learning strategies developed in the field of gifted education, which can be use in the regular classroom with ALL learners. Working WITH Parents of Gifted/Talented/Creative...or just really smart kids! Parents of high ability children can sometimes be very demanding. This workshop will help teachers and schools work with parents of high ability children to improve the educational setting and parent-school relationships. To succeed in school, students need more than subject area knowledge-they must learn how to learn. 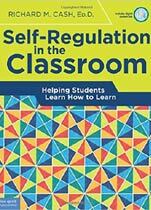 Self-regulation, an executive functioning skill, describes the ways that students focus attention on achieving success. Self-regulated learners find personal value in learning, develop effective study habits, welcome challenges, seek help, and use failure as a learning tool. This user-friendly guide makes the process of developing self-regulation as easy as ABC: Affect (how you feel), Behavior (what you do), and Cognition (how you think). Teaching students to balance these three elements builds motivation, resilience, and college and career readiness. Digital content includes customizable forms from the book. Differentiation for gifted students significantly differs from the ways in which educators differentiate curriculum and instruction for other students. Within a group of advanced learners, the variety of abilities, talents, interests, and learning styles can be formidable. Differentiating for them must go beyond adjusting content levels, task complexity, or product choice. 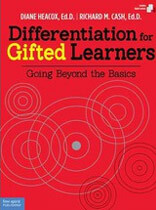 For the first time, this book connects the unique learning differences among gifted students to the specific teaching methods used to tailor their educational experiences. Topics discussed include real-world problem solving, abstract thinking, interdisciplinary concepts, authentic products, learning autonomy, accountability, grouping practices, affective curriculum, 21st-century skills, Advanced Placement and Honors classes, IB programs, underserved populations, and twice-exceptional learners.